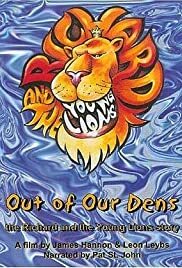 Q: What happened to the Richard and the Young Lions comeback? An excellent story of never giving up on your rock and roll dreams, well told by first-time filmmaker James Hannon. Richard and the Young Lions got that rarest of second chances -- another shot at the big time AND a talented young director to cinematically document their comeback. Hannon conducts some great interviews for the documentary, including a standout session with the great Lenny Kaye. Narration is by well known radio personality Pat St. John. Sadly, Richard Tepp died shortly after the completion of this film, but he did get to see it two days before his death.